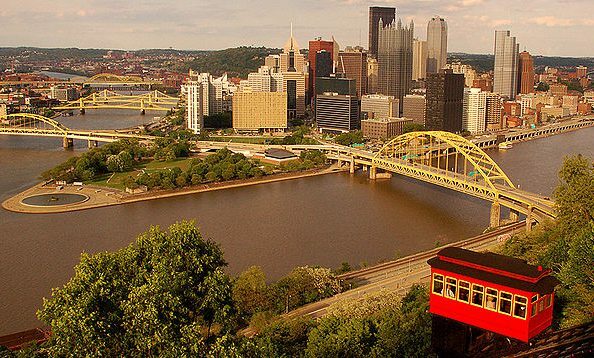 Pittsburgh, Pa. – Reaching down, training, striving for everything you have comes together when the bell rings, and you meet your opponent in the center of the ring. Angelo Magnone and Made Men Promotions bring boxing back to the City of Bridges Friday, June 8 to the Rivers Casino Amphitheater. Rivers Rumble VIII opens with the first bell at 7:00 p.m.
For 22-year-old Matt Conway (12-0-0, 5 KOs) of Pittsburgh, it is his time to claim a championship in the main event as he battles Mexico’s Arturo Santos Reyes (19-9-0) for the International Boxing Association’s vacant Intercontinental Junior Lightweight title. This prime matchup is scheduled for 10 rounds. Conway won by technical knockout in the second round of his last outing Saturday, Feb. 10, over Victor Abreu (9-3-0) at Mountaineer Casino in New Cumberland, WV. I was impressed by the Sweet Child’s prowess last August in picking up a unanimous decision against Osnel Charles (11-16-1) when I saw him at Rivers Rumble VII. Reyes should not be overlooked as the 32-year-old warrior owns five knockouts and has never been kayoed himself. The native of Nuevo Laredo, Tamaulipas, Mexico went a full 10 rounds against current World Boxing Association featherweight champion Abner Mares (28-1-1) and super featherweight contender Tevin Farmer (24-4-1). He will test Conway’s mettle in this meeting. Cleveland’s rising star Thomas Mattice, 27, puts his undefeated mark of 11-0-0 and nine knockouts in the lightweight division on the line when he confronts 29-year-old Jorge Munguia (13-12-0, 5 KOs) from Tegucigalpa, Honduras. Mattice was 72-18 as an amateur and a three-time Ohio State Golden Gloves champion. Another Conway on the card is Matt’s brother Mike (3-1-0, 2 KOs) as he battles Latorie Woodberry (1-6-2, 0 KOs) of Roanoke, VA in a lightweight showdown. The 23-year-old Conway is coming off a majority decision victory this past February against Dib Kaddah (0-1-0) at Mountaineer. Super welterweight action takes flight as 31-year-old Justin “The Hawk” Steave (8-1-0, 4 KOs) of Pittsburgh combats James Robinson, 27, (5-10-4, 1 KO) from York, PA. Steave collected a unanimous decision by five points on each of the judges’ scorecards in his triumph over Danny Rosenberger (3-4-3) from Saint Petersburg, Florida at Mountaineer in February. After losing a close majority decision in February to Aaron Quattrocchi (11-2-1) at Mountaineer, East Liverpool’s Joey Holt (9-1-0, 7 KOs) seeks to build a new win-streak against the 29-year-old southpaw and super middleweight Lawrence Blakey (5-9-2, 2 KOs) from Pittsburgh. Holt, 32. owns a powerful right uppercut that can send an opponent to the mat. Panamanian super welterweight Roque Zapata, 22, (5-2-3, 0 KO), who makes his home in Culpeper, VA, takes on 29-year-old Eric Bledsoe (4-1-0, 1 KO) of Wheeling WV. Bledsoe tallied a unanimous decision in March 2017 against Jauvan John (2-5-1) of Brooklyn, NY at West Virginia State Penitentiary in Moundsville. There is an amateur duel to begin the evening as the Burgh’s Danny Bodish clashes with Adel Mason from Cleveland. Choice seating is available online at www.mademenboxing.com. From The Clipboard: Magnone and Made Men Promotions are just heating up this summer as they have an amateur and professional Mixed Martial Arts card set for Saturday, July 14 at Rivers Casino.